Bayamón, Puerto Rico- Puerto Rico FC kicked off Group D of the Caribbean Club Championship with a 1-0 win against Surinam's SV Transvaal. Hector "Pito" Ramos gave PRFC the first goal of the game with a penalty kick in the 26th minute, after Walter Ramirez drew the penalty on SV Transvaal Goalkeeper, Cherwin Doorson. 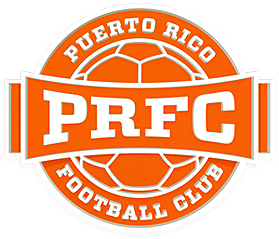 PRFC had the early momentum in the first 20 minutes of the game with some scoring opportunities, including a pair of corner kicks that couldn't find the back of the net. But it wasn't long after Ramirez got fouled by Fernando Felix and then by Cherwin Doorson, which resulted in the penalty shot by Ramos. SV Transvaal had their chances with the best one coming during the final minutes of the first half with a shot by Clevon McFee that was blocked by PRFC defender Rudy Dawson. Giusssepe Gentile got close to scoring the second goal with a chip in the final minutes of the game. PRFC plays its second game on Thursday, March 16th against Portmore United FC from Jamaica, who defeated Scholars International by the score of 2-0 in their first game of the tournament. Get your tickets for just $10 on puertoricofc.com and prticket.com. PRFC: Trevor Spangenberg; Kyle Culbertson, Cristiano Dias (c), Rudy Dawson, Conor Doyle, Hector Ramos, Giussepe Gentile, Walter Ramirez, Michael Kafari, Javier Monsalvez, Tyler Rudy.